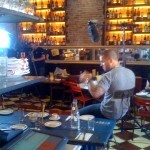 The other morning the Food Network’s spin-off was working on revving up its offerings with Unique Eats, a program that takes a relaxed approach in presenting interesting foods and food locales, with a shoot at at Pulino’s. It was lights, camera and action with celeb-edged chef Nate Appleman, veteran of San Francisco’s A16, chatting up on what makes Pulino’s so special. We’ve been a fan of the restaurant from the get-go and, while not the most convenient locale for your morning meeting, this is one worthy breakfast spot. The Kale Fritatta was richly satisfying with its smoked ricotta dollop slowly melting and the Salsiccia was the breakfast all in one with its thin pizza crust topped by a perfectly cooked eggs, sausage, bacon and cheese – both utterly satisfying and absolutely delicious. While we enjoyed our starter of Roasted Grapefruit, it’s tart sweetness enhanced with a thin coat of caramelized Muscovado sugar, the $8 price tag seemed a bit out of sorts. 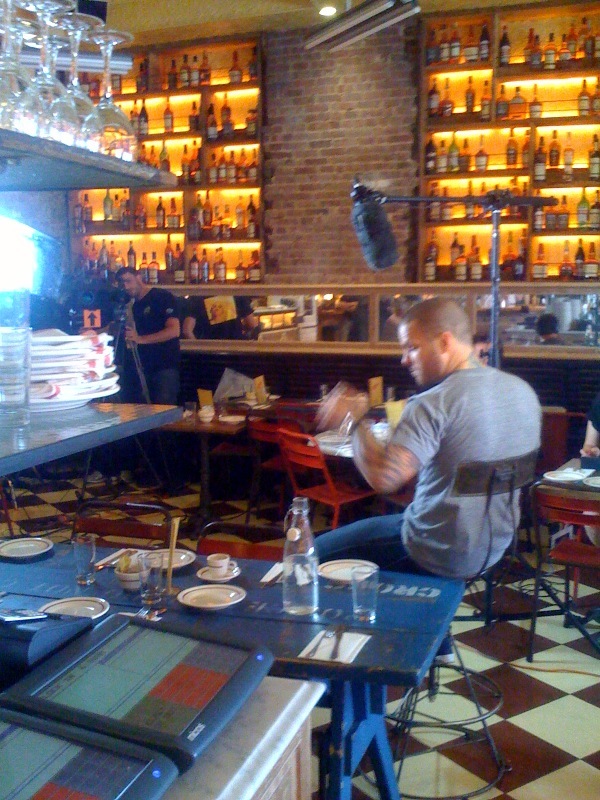 The setting was all the better for its quiet early a.m. vibe (even with the Cooking Channel’s taping) compared to the hustle bustle of nearby sibling Balthazaar, the star culinary brainchild from stellar restauranteur Keith McNally. PULINO’S BAR & PIZZERIA. 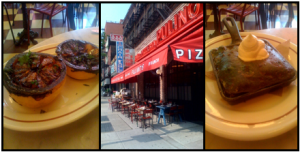 282 Bowery (Houston St) – CLOSED! Keeps me regular, and, I think, makes me sleep a little better as well. ? If you have a good relationship with your pharmacist, let him know your concerns about drug costs.